I always seem to use my Zinnia stamps and they just weren’t going to work for my favourite flower (Lilacs) so I had to improvise. 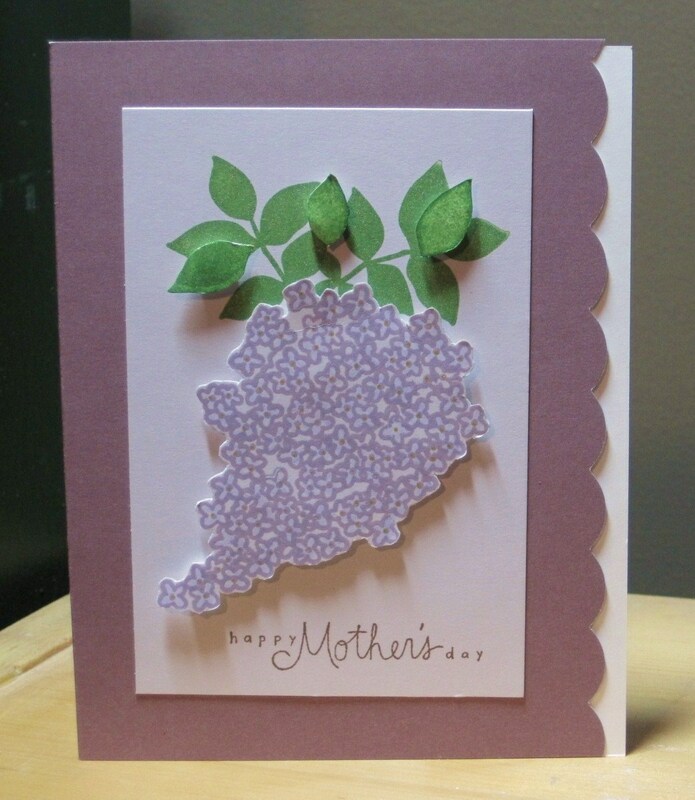 I used the two little flower stamps from the Cupcake Builder stamp set to create this pretty little branch of lilacs, and I used the Leaf frond stamp for the leaves. Thanks to my mother I have always shared her love of lilacs – they are her favourite flower and every spring we used to go to graveyards to pick lilacs. Shocking, I know – we are practically grave robbers. Don’t tell! The best graveyard for lilacs is the one of Waterford Bridge road! Also has some great old rose bushes. I’ve tried to propagate some of them – but I always think people will think I’m very strange taking clippings of graveyard rosebushes. This is so gorgeous! Wow! Very clever!!! I love this!! Lilac’s are my favorite too!! This card is so awesome! LOVE that you thought so “out of the box” – when I was a little girl (8) in Illinois we had a big Lilac bush in our front yard and I still remember how wonderful it smelled! !